There is no doubt that among the countries in the world, the Philippines is one of the leading providers of Maritime and manpower services in countries that needed them. In the Philippines, there is one company who is committed to strengthening its maritime and manpower sectors and it’s the Abojeb Company. Recently, Abojeb inaugurated its new office in Paranaque which was held last November 28, 2018. The new office occupies the 5th and 6th floor of Ri-Rance Corporate Center 1 at Aseana City. With 3,000 square meters, it houses Abojeb’s entire workforce and provides a modern welcome to the seafarers. Moreover, Faannessen added that many industries are still in need of skilled and competent Filipino workforce. The Philippines is a top-of-mind choice when it comes to sea-based and land-based talent. 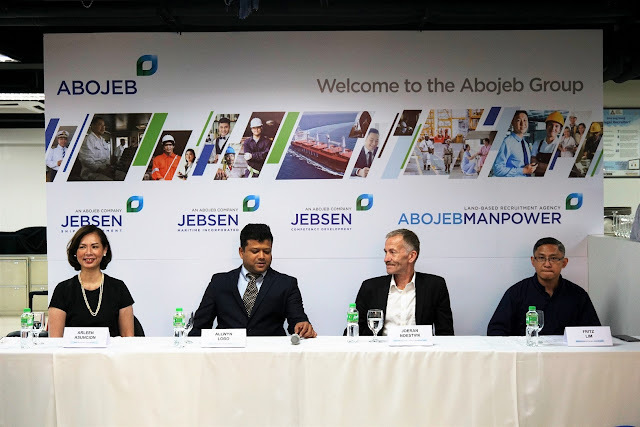 Hence, the Abojeb Group continues to see the people of the Philippines as the backbone of its business also in the future.